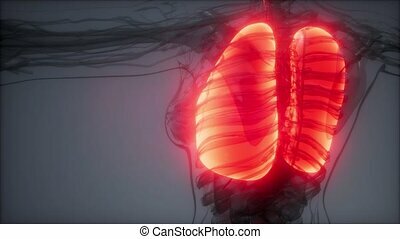 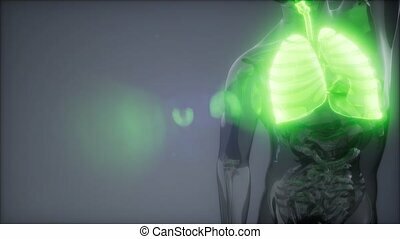 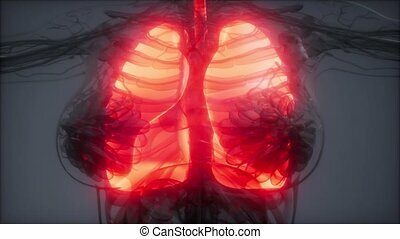 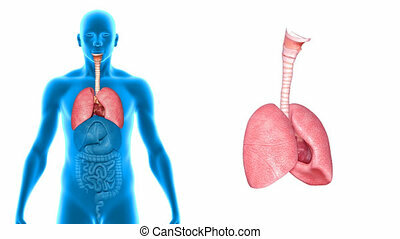 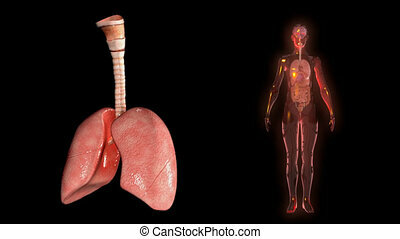 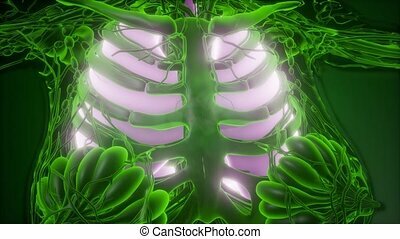 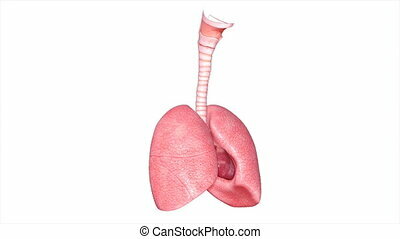 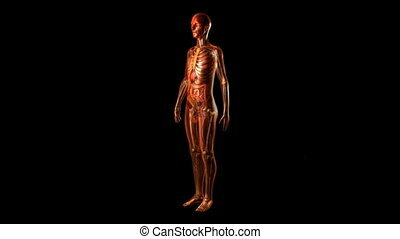 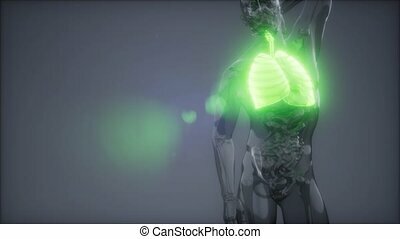 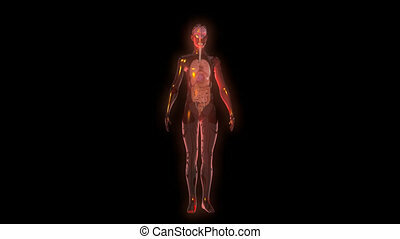 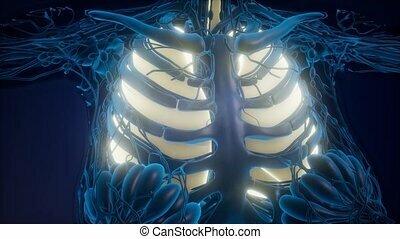 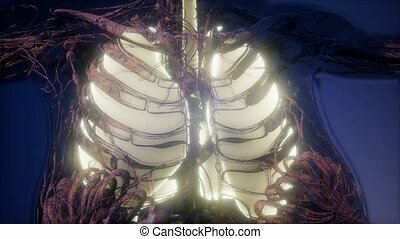 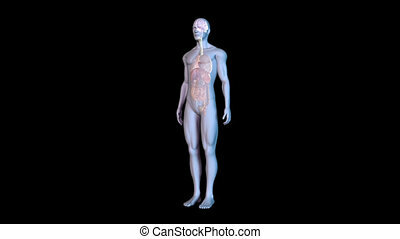 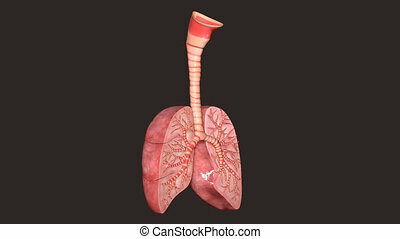 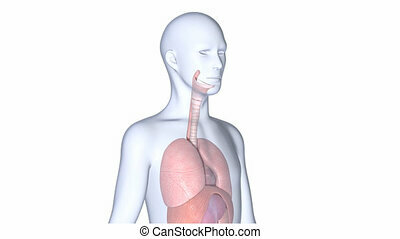 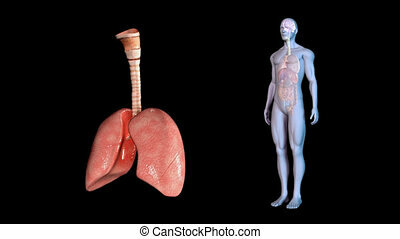 The lungs are the essential respiration organ and are located near the backbone on either side of the heart. 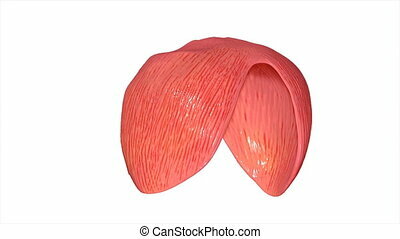 The heart is a muscle about the size of your fist. 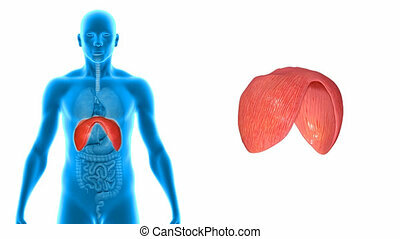 It works like a pump and beats 100,000 times a day. 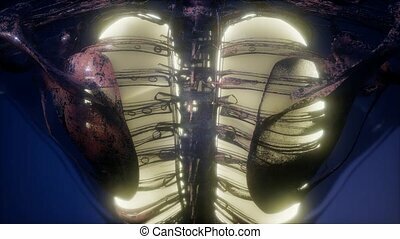 The heart has two sides, separated by an inner wall called the septum. 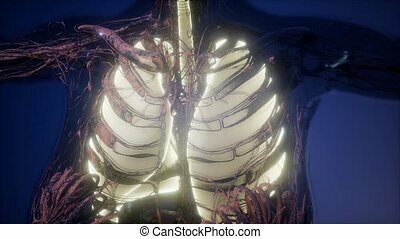 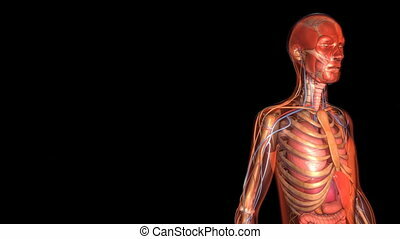 The right side of the heart pumps blood to the lungs to pick up oxygen. 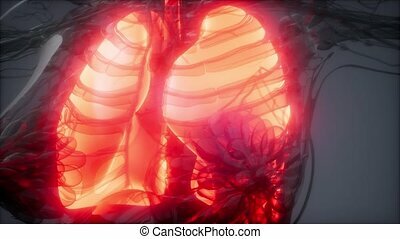 The left side of the heart receives the oxygen-rich blood from the lungs and pumps it to the body. 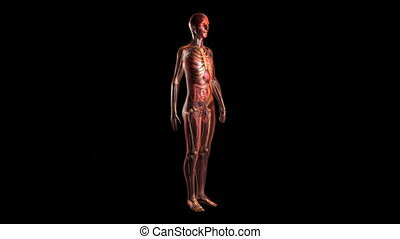 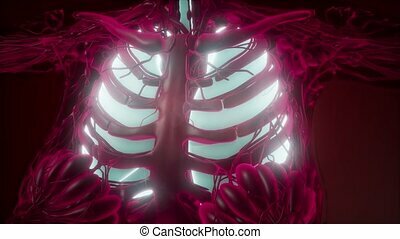 In human anatomy, the thoracic diaphragm, or simply the diaphragm , is a sheet of internal skeletal muscle that extends across the bottom of the rib cage.